How Far is Indu Fortune Fields Annexe? Indu Fortune Fields Annexe, a residential project developed by Indu Projects Ltd, it is located in Kukatpally. This project consists of glorious architecture, an ambiance which is perfect for spending quality time with family and friends. Enjoy outstanding and incomparable satisfying lifestyle at Indu Fortune Fields Annexe. A place where you can find happiness for your family. 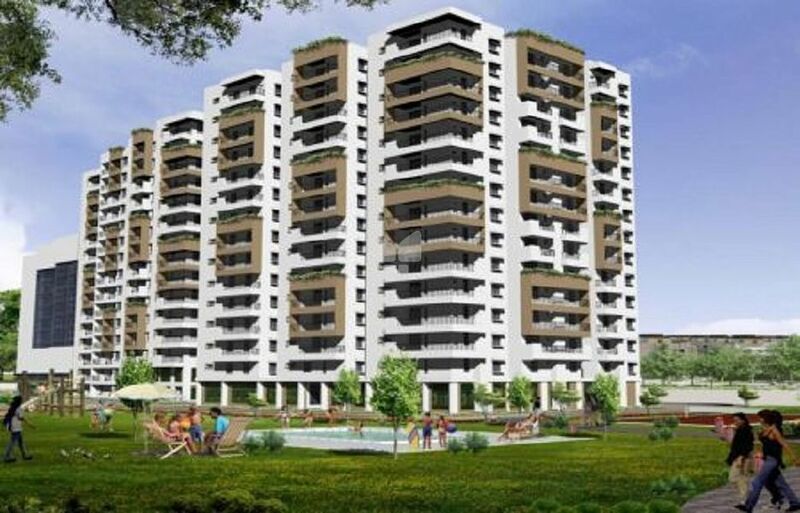 The project offers 2BHK and 3BHK apartments for sale in Kukatpally. The super built up area of 2BHK apartments is 1180 Sq ft and the super built-up area of 3BHK apartments is 1365 Sq ft,1762 Sq ft. Abode which defines luxuriness contains carefully crafted living space. Come and explore this elegant place designed with careful attention to detail to provide comfortable living experience for the residents. Get benefited by buying this apartment located in one of the prime locations in Hyderabad, Kukatpally. The locality is well connected through different modes of transportations. All the basic requirements (schools, hospitals, colleges, shopping areas) of the home buyers are there in the proximity and even railway station is also there in the proximity. Along with apartments in Hyderabad the project offers many useful amenities for the residents, some of them are swimming pool, clubhouse, 2-wheeler parking, rainwater harvesting system, children's play area, and car parking.